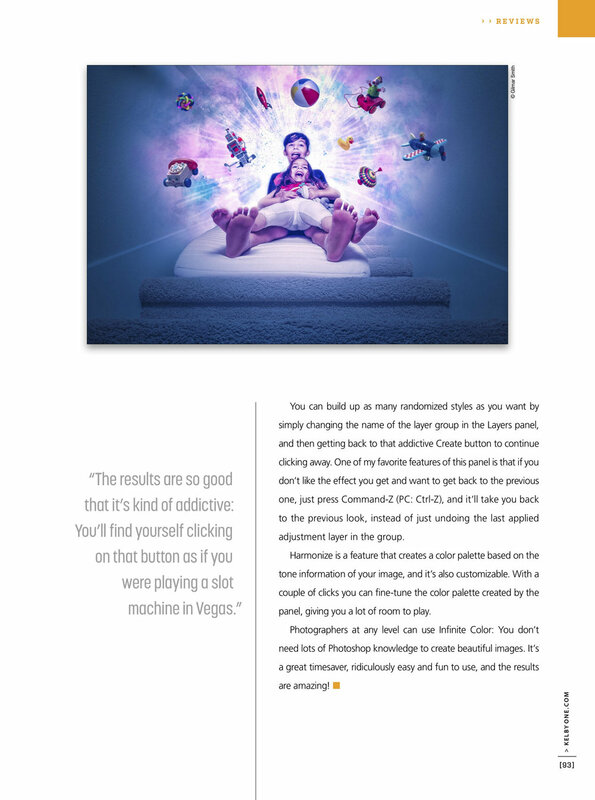 I'm so happy to say that we've been featured in Photoshop User magazine this month! Writer and Photoshop expert Gilmar Smith kindly took a test drive of our Infinite Color Panel and put her thoughts down to paper. I was pleasantly surprised with what she found! Gilmar is someone who I personally respect in the industry and I am glad she found it easy to use, and quite addicting! I was curious to see what she would find without much context and it is fascating to read. Be sure to check it out below! And as always, if you're interested in checking out the panel, visit our homepage at www.infinitecolorpanel.com along with the education part of our website to learn more on the many ways to use it!